Hannah Petersen, Provost Neighborhood Vice Chair, presented statistics regarding zoning violations in her neighborhood as well as some recommendations for improving zoning compliance in Provo. Community Development also presented some potential options for improving zoning compliance. Further discussion and formation of a committee to address the issue will take place at the January 17 work meeting. Council approved a proposal to create a process for independent review and recommendation of Council compensation by including it in the existing mayoral compensation review process, with the same structure and similar timing as already established. Staff will prepare an ordinance to be considered at the next Council meeting, with the goal of appointing the Elected Officials Compensation Commission in February 2017, work completed by end of April 2017, and any compensation changes to take effect in January 2018. Heard a presentation on programs and goals of the Utah Lake Commission. Discussed the project formerly known as Scott's Corner and how the developer had addressed some of the safety concerns. Council approved a motion to consider this land-use application through the normal application process. Discussed amendments to chapter 4 of the Council Policies and Procedures Handbook recommended by the Rules Committee. Further discussion of this item will happen at the January 17 work meeting. Discussed resolution authorizing the Redevelopment Agency to enter into an agreement with the Department of Housing and Urban Development for the purpose of seeking funding for the infrastructure necessary for the expansion on Duncan Aviation. This will be formally heard at the January 17 meeting. David Sewell was elected 2017 Council Chair and David Knecht was elected 2017 Council Vice Chair. Leadership for the Redevelopment Agency remains the same this year as George Stewart was elected again as Chair and David Harding as Vice Chair. Net metering rate of $0.06742kWh, with credits wiped out at a prescribed time each year. Grandfathering of existing customers (as of 10/4/2016) to receive the current published net metering rate. Starting March 31, 2017, increase the customer service charge gradually to the recommended base rate over the next four years and decrease the energy rate to remain revenue neutral. Re-evaluate solar rates in three years. Examine ways to make the utility bills more transparent. Council originally heard this item at the December 6 Council meeting and voted to continue it in order to request additional information. 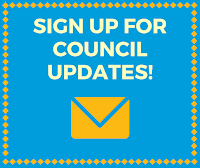 The information was received and reviewed before the January 3 meeting and is available on the Council's blog. Council invited public comments and asked additional questions of City staff involved in the project. The resolution authorizing eminent domain proceedings in order to acquire right of way for phase 1 of the Lakeview Parkway project passed. Honored Louise Jorgensen for her service to the Council office and presented her with a retirement gift. 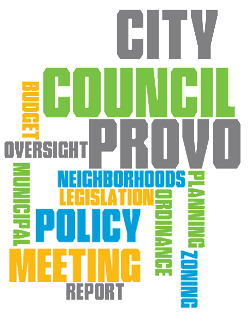 Continued to the March 7 Council meeting a request for a resolution to adopt the Southeast Neighborhoods Plan as a component of the Provo City General Plan. 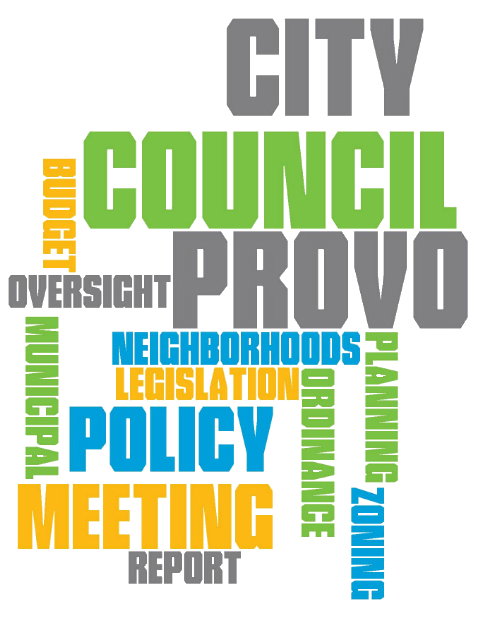 Held a public hearing and passed an ordinance amending the Provo City Sign Ordinance to increase signage allowances in the DT1, DT2, ITOD, Gateway, and West Gateway Zones. This will be formally heard at the January 3 Council meeting.